Veracity Anomaly management software is a powerful tool which provides operators with a user-friendly and systematic approach for assessing and managing their anomalies, using the latest technology and risk-based methodologies. It is used to ensure safe and cost effective operation by linking the anomaly management system with the subsequent maintenance and repair cycle. Our anomaly management software tracks anomalies for both onshore and offshore facilities over a variety of components and assets including pipelines, piping, static equipment, structures and marine, whilst allowing flexibility for additional client preferences. It takes a life cycle approach to anomaly management from detection, documenting of reports and images, risk or criticality assessment, associated actions, to close out. Veracity Anomaly management software offers continuous risk management with complete traceability of integrity actions. Anomaly management involves the identification, reporting, analysis and monitoring of defects which require future inspection and assessment. Veracity Anomaly provides a complete anomaly management solution. This anomaly management software tool allows users to document and assign unlimited anomaly information, supplemented with reports, images and media. The software also allows users to analyse, risk assess, plan and implement anomaly management within a controlled and traceable environment. Veracity Anomaly reminds users of monitoring requirements and offers a simple interface for inspection and integrity teams to enter and analyse data. 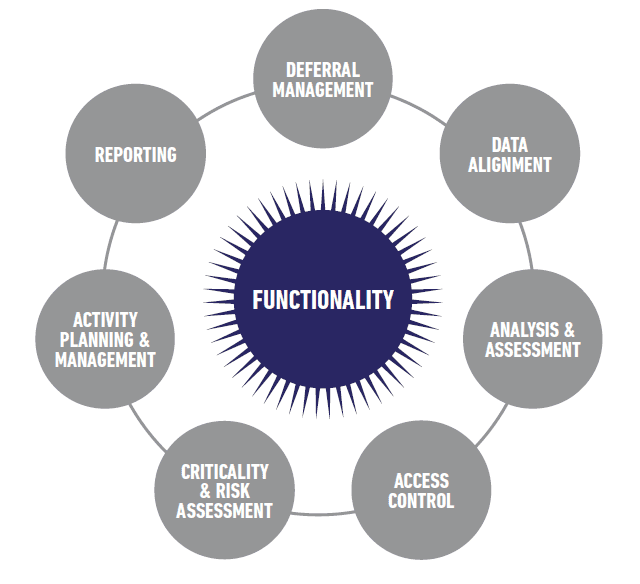 The reporting and deferral function of the software is engineered to comply with typical KPI reporting matrices, which most operational assets require as part of a wider integrity management system. Preventative maintenance and early repair of equipment is essential if integrity management is to be established and a reactive environment avoided. Within operational assets, fabric maintenance generally does not receive the visibility it deserves, often resulting in minor threats developing into more significant repairs and losses. Veracity Anomaly brings visibility and control to the fabric maintenance process and links it with the other elements of the software. This ensures that preventative repairs are effectively reported, risk assessed, and closed out via a logical and controlled work flow process. The anomaly management software offers a clear and straightforward approach to fabric maintenance management by allowing inspection, integrity, construction and maintenance teams to utilize a common platform. This platform is tailored to the work environment and typical repair requirements faced in an operational plant. If integrity is to be sustained through the life cycle of a facility, components will need to be repaired and/or replaced on a routine basis. 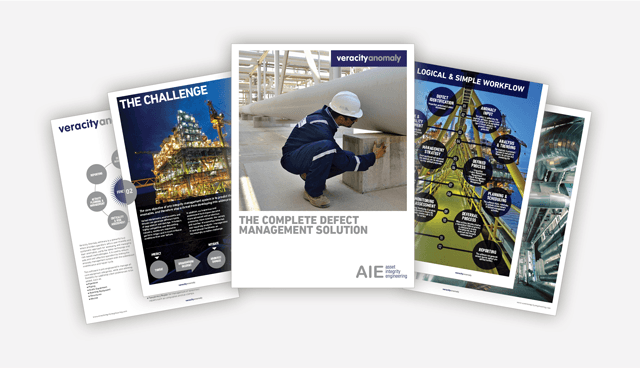 Veracity Anomaly offers a systematic and established approach to repair management, and its methodology has been successfully tried and tested in a variety of locations around the world. It offers integrity, maintenance and construction a common and simple work flow process which is recognized by most regulatory bodies as a suitable repair management system for live plant. The anomaly management software ensures that repairs are suitably documented, risk assessed, classified, planned and closed out via a fully traceable and auditable process. The data management system stores data for future analysis, and the reporting arm tailors into company KPI data matrices and integrity systems. As the repair system is integrated with the other functions of the software, it ensures that essential monitoring is continued and managed, whilst time is taken for the repair to be fully executed and closed out. The built in deferral and approval process ensures overdue repairs are suitably risk assessed, communicated and managed. In recent years temporary repairs have become extremely popular because they offer an interim solution to compromised live plants while a long term repair is being engineered. These repairs do, however, have limitations, and a management system should ensure that they do not become a risk to the asset. The temporary repair function of Veracity Anomaly ensures that all interim repairs such as composite wraps and box clamps, are documented, tracked, monitored and reported through to replacement or decommissioning. The system is compliant with requirements set out by most regulatory bodies, and it demonstrates a level of technical assurance and responsibility to all stakeholders. We have multiple options available, from offering a complete anomaly management service using our in-house specialist integrity engineers to setting up the anomaly management software in our client’s facilities with external maintenance and technical support so that it can be internally operated. Veracity Anomaly is simple and logical to operate, with most users only taking a matter of hours to understand its design and architecture. AIE also provides in-house integrity training courses to assist with the use of the anomaly management software and to ensure that users understand its full capability and how it should be set up and maintained for maximum effect.